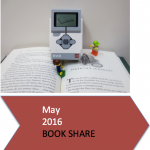 Dr E’s WeDo Challenges and Dr E’s MINDSTORMS Challenges are gearing up for a new series of activities, starting in October 2016. 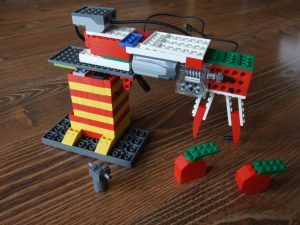 Created by Professor Ethan Danahy of Tufts University, these sites encourage students from around the world to find creative solutions to open-ended problems using LEGO robotics and then share their creations with one another. The sites have more than 650 registered users from 32 difference countries. 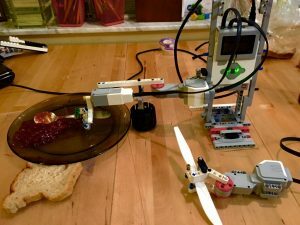 Participants include school classes, robotics clubs, FIRST LEGO League teams, families—and many individual robot-loving kids who are delighted to find a community of like-minded peers. 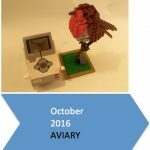 Two of the upcoming challenges, October’s Aviary and January’s Game, are being issued jointly by the two sites. Dr E runs joint challenges to encourage communication and collaboration between students of different ages. 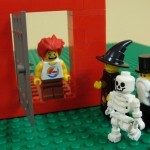 In fact, a number of students who started out submitting to the WeDo site have made the leap to the MINDSTORMS site as they have grown older. In addition to the joint challenges, each site has two individual challenges scheduled: Trophy and Wearable WeDo for Dr E’s WeDo Challenges and Puppet Show and Monster for Dr E’s MINDSTORMS Challenges. Trophy and Puppet Show were the winning submissions from a contest held at the 2016 LEGO Learning Symposium, in which attendees helped design upcoming challenges.